Here's a little blast from the past. Kent Canterbury Faire, August 1997. 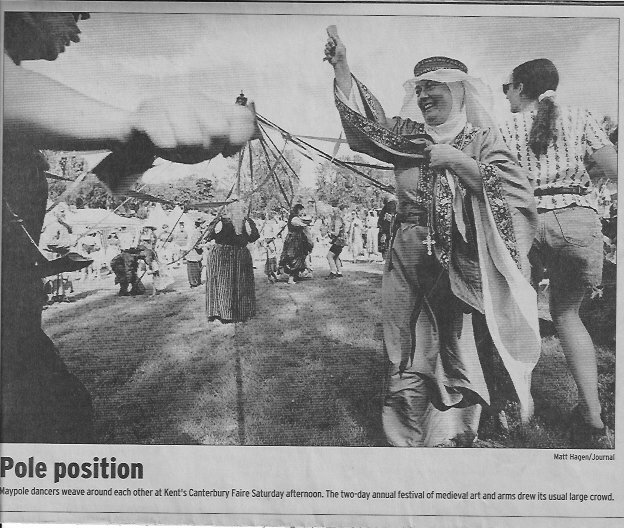 You see me in this news article doing the May Pole which was actually a ton of fun!